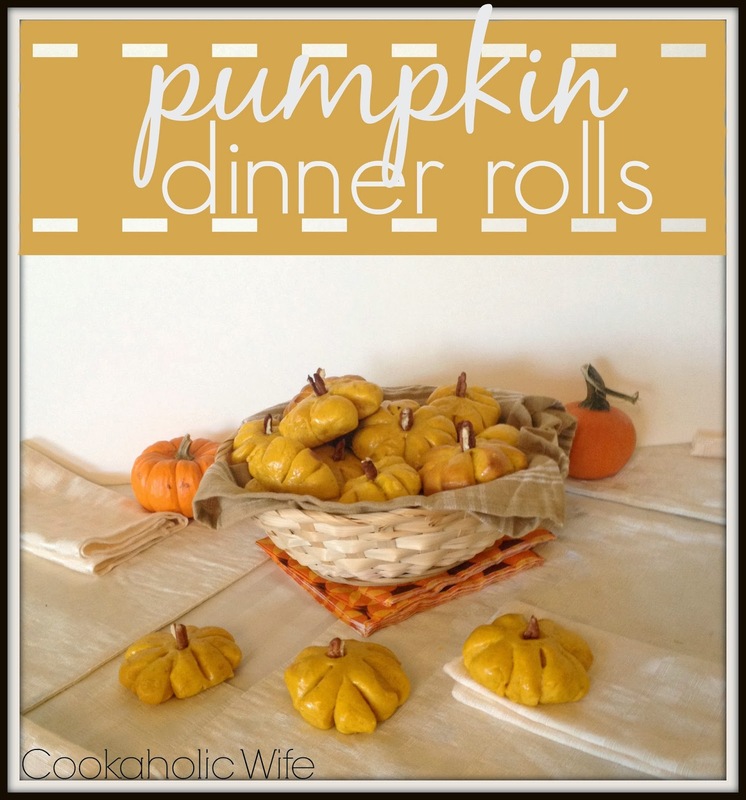 When I saw these adorable dinner rolls on Pinterest, I immediately knew that I needed to make them for Thanksgiving. I mean, who doesn’t want a pumpkin shaped roll to sit on their plate along with their turkey, mashed potatoes and gravy? I made these Tuesday evening, thinking I wouldn’t have enough time to do them on Wednesday. They were still good by Thanksgiving, but I won’t lie, they tasted better the day after making them as opposed to 2 days later. Just something to keep in mind you plan on serving these for a holiday. 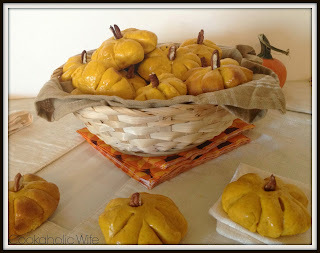 You could also easily freeze the dough after the first rise in order to make them closer to your desired event. 1. In the bowl of your stand mixer, combine the water, yeast and sugar and let sit. 2. In a medium saucepan, scald the milk over medium-high heat then remove from the heat and stir in the butter until fully melted. Stir in the pumpkin puree and both sugars. 3. Pour the pumpkin mixture into the bowl of your stand mixer, along with the egg and salt. Stir with a wooden spoon until combined. 4. Use a wooden spoon to stir in the flour, one cup at a time, then transfer to the dough hook and mix until the dough pulls away from the side of the bowl. 5. Turn out onto a lightly floured surface and knead for 1 minute. Form the dough into a ball shape and place in a greased bowl, covered with plastic wrap. Allow to rise in a warm area for 1 hour or until the dough has doubled in size. 6. Turn out the dough on a lightly floured surface and punch to remove any air bubbles. Divide the dough in half, then continue dividing each half until each has produced 16 pieces or 32 total. 7. Roll each piece of dough into a ball and then flatten slightly with your hand. Use a knife or a pastry cutter to cut 8 slits in the ball, mimicking flower petals. Make sure not to cut through to the center of the dough. 8. Use your finger to poke a deep indentation in the center of each cut piece of dough. Place them on parchment lined baking sheets, cover with a clean kitchen towel and allow to double again, about an hour. 9. Preheat the oven to 350. Poke the indentations down again and then brush each roll with the melted butter. 10. Bale for 9-12 minutes or until lightly golden. While the rolls are still hot, press a pecan slice into the indentation, mimicking a pumpkin stem. Adorable, right? Everyone thought these were a decoration at first until I had them take a closer look. The pumpkin flavor was mild but just enough to give a slight hint of that pumpkin flavor.